1: Erin Gates For Amazon. If you are looking for a new rug, this exclusive to Amazon collection is a must-see. There’s so many beautiful choices and many of them are reversible! My personal favorites are this one and this one. 2: I’m always looking for new ways to add texture to my rooms and this Fringed Basket Wall Art would be perfect. It comes in two sizes and the natural colors will work with any color scheme. 3: Lately, I’m finding myself drawn to a more modern design style. Have you noticed a huge uptake in photos of wall walls, modern or mid-century style furniture and minimal styling? Something about the clean lines and “less fussy” approach this style brings really speaks to me right now. 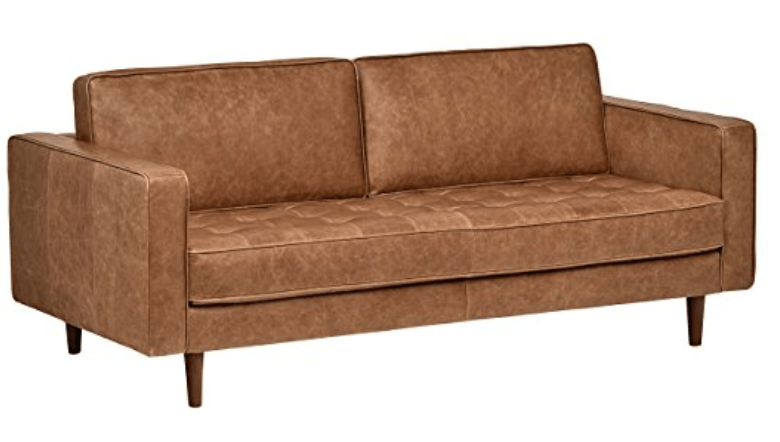 This Cognac Mid Century Couch is a major lust item for me right now. I love our current (huge) sectional and I’m not in the market to replace it but this couch is so dreamy! 4: I’m possibly looking to replace my coffee table with either something round or soft now that the baby is pulling himself up and attempting to walk. There’s nothing like sharp coffee table corners to put fear into a mama! 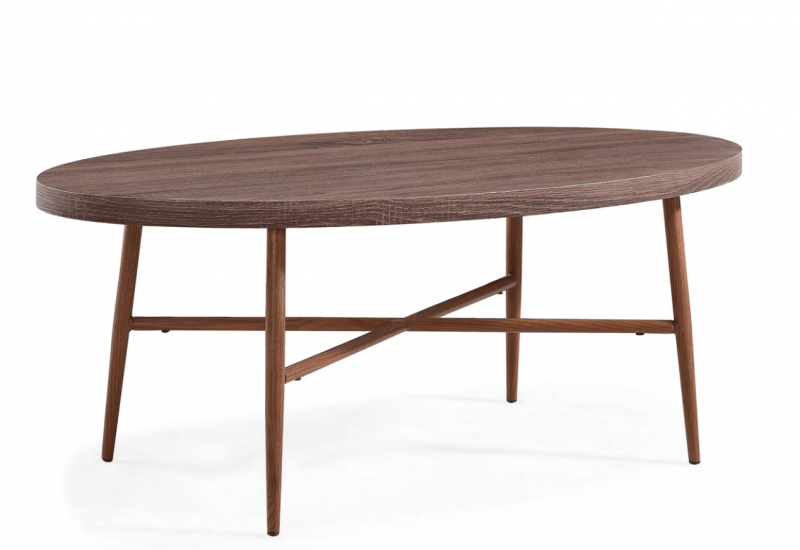 This coffee table comes back to my new obsession with mid century styling, and at less than $150, it’s great value! 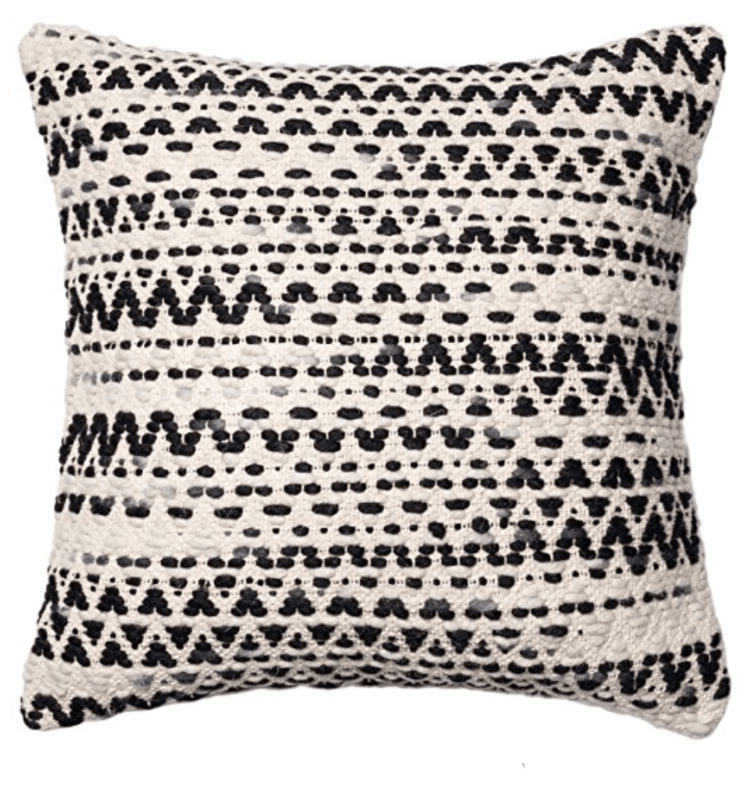 5: Whether you’re into MCM, traditional, desert or farmhouse styles – this stylish throw pillow will look jazz up your couch! I think it would look pretty dreamy with that leather couch but would be equally at home on a slipcovered sofa!